Cadillac’s line of sedans, which is slowly transitioning to a CT naming scheme, has looked relatively disheveled and disorganized when compared to the neatly organized XT-named crossover lineup. 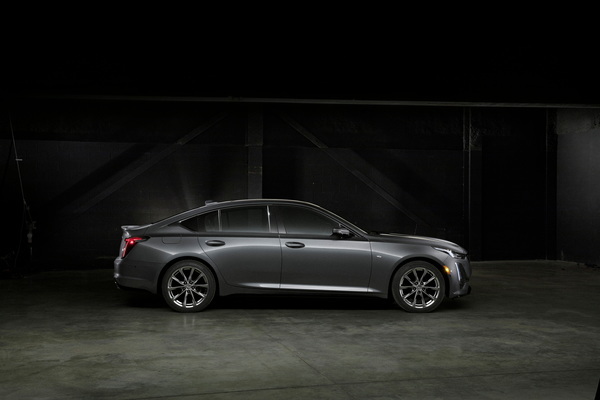 The sedan transition is clearing up with the debut of the 2020 Cadillac CT5, which will sit in the slot just below the CT6, which the CTS occupies today. The 2020 Cadillac CT5 will boast an angular body, like its CT6 big brother, but it will also show off its sportier side with some special aero work. Up front, the 2020 CT5’s fascia takes its design from the Escala concept with its slightly rounded nose and windswept wraparound headlights. On the rear, the CT5 shows off a fastback-like C-pillar and glass that adds some sportiness to this compact sedan. Add this to a cabin that’s placed further rearward and a longer hood, and it’s clear the CT5 is more of a driver’s car than the CT6. 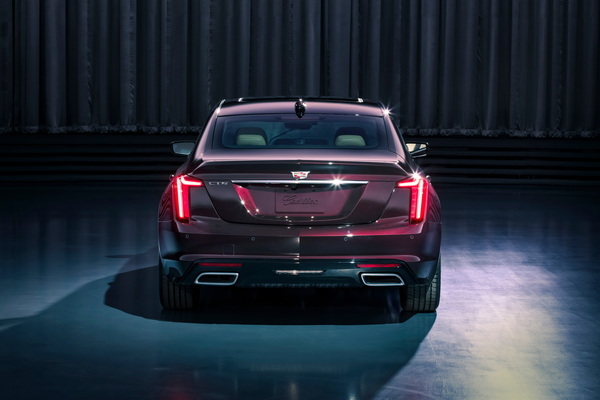 This is all combines with a full array of LED lighting that includes Cadillac’s signature vertical LED lighting at all four corners to create a distinct appearance. 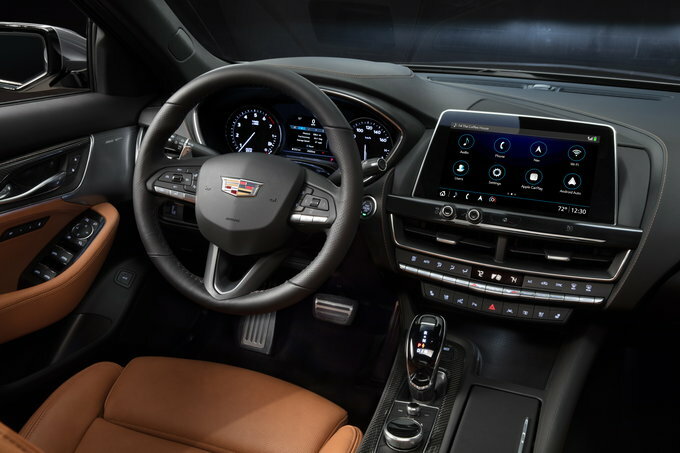 Cadillac touts the 2020 CT5’s cabin as “high-tech and high-touch,” and it all starts with high-end materials with a high level of craftsmanship and continues with a 10-inch HD touchscreen, adaptive remote ignition, ventilated front seats, a heated steering wheel, and Super Cruise. 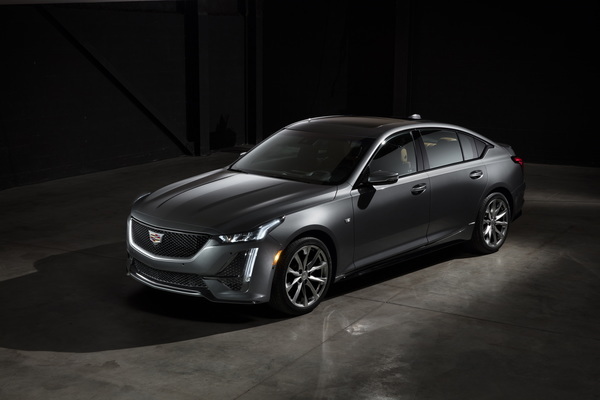 The latter, which uses LiDAR map data, GPS, a driver-attention monitor, and a network of cameras and radar sensors to allow hands-free driving on select roads, has been a long time in the making and will move across Cadillac’s lineup starting in 2020. 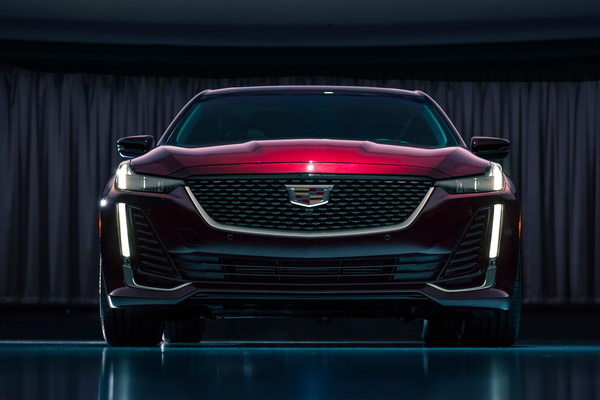 The 2020 Cadillac CT5 will hit showrooms with a standard 2.0-liter turbocharged four-cylinder that will inject 237 horsepower and 258 pound-feet of torque. Premium Luxury and Sport trims will gain a 3.0-liter twin-turbo V6 with 335 hp and 400 lb-ft of torque. 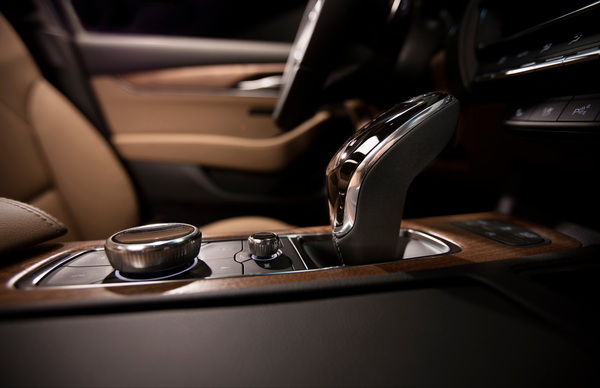 Both engines will mate with a 10-speed automatic transmission. The 2020 CT5 will come standard with rear-wheel drive, but all-wheel drive will be available. 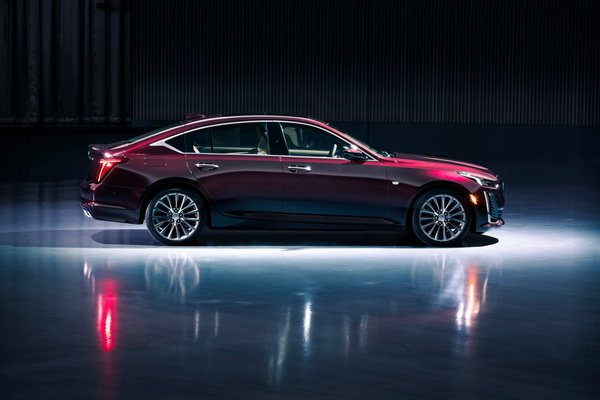 The 2020 Cadillac CT5 will include plenty of advanced safety goodies like a safety alert seat, a rear camera mirror, forward collision alert, low-speed automatic emergency braking, and front pedestrian braking. If the CT5 can pass the crash and headlight tests, these features are enough to qualify for an IIHS’ Top Safety Pick rating. Buyers looking for more safety can opt for advanced adaptive cruise control, enhanced automatic emergency braking, automatic parking assist with braking, HD 360 degree camera, reverse automatic braking, and more. There is no official on-sale date for the 2020 Cadillac CT5 yet, but it will be available at some point in the fall of 2019. Look for its in-the-metal debut at the New York Auto Show, which kicks off on April 19. The 2020 Cadillac CT5’s official pricing will come as we near its on-sale date. The current CTS, which is the predecessor to the CT5, carries an MSRP of $47,990 to $72,790 (destination fees included). 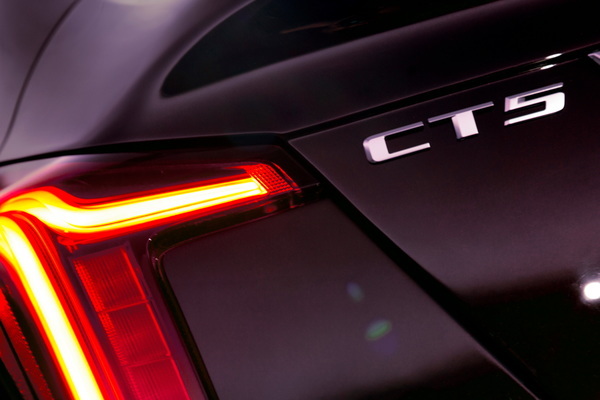 We expect the CT5 to start slightly higher than the current CTS. The 2020 Cadillac CT5 will compete with the Audi A6, BMW 5-Series, and Mercedes-Benz E-Class.